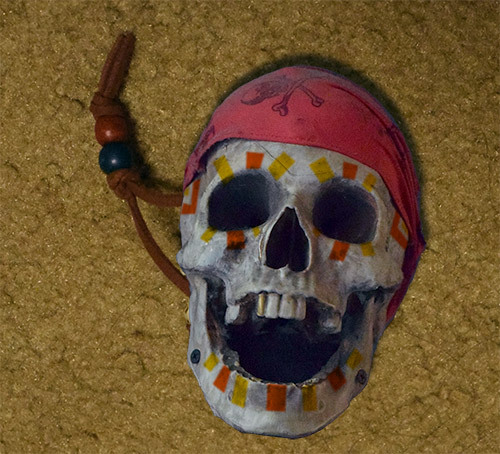 The most difficult to obtain Juju is the Sacred Scull juju. 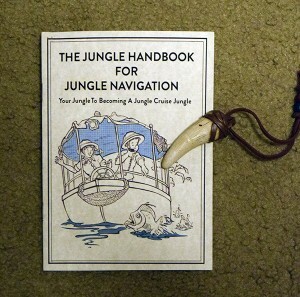 During the first weeks of the Adventure Trading Company activity, guests could get a Sacred Skull by simply trading “one of theirs for one of yours.” All you needed to do was find something in the park that could be fashioned into the shape of a skull (antenna balls, wadded napkins, and the remains of things executed by feral cats were popular) and trade it at the Company for a Sacred Skull juju (after paying the usual “exchange fee,” of course). That is why today the Sacred Skull juju is no longer available in the park, is illegal to bring across state lines, and can be found on eBay selling for upwards of $1,000. This is, by far, the most difficult of all the juju to earn. Before you can receive your juju, you have to gather the ingredients for Trader Sam’s famous punch. 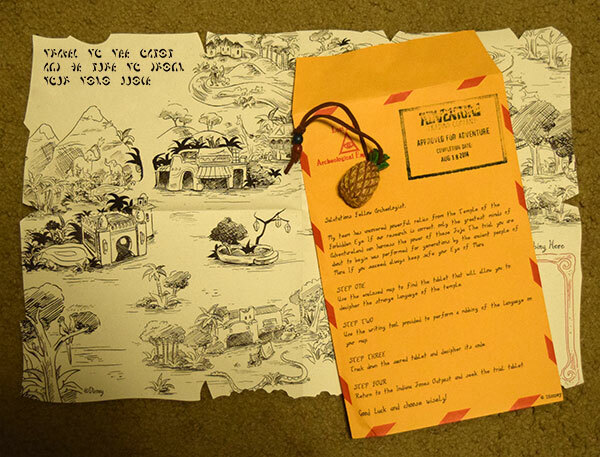 There are clues to the ingredients hidden around Adventureland, but after you discover what the ingredients are, you still have to collect them and then follow the instructions in a secret telegram* to know what to do with them. 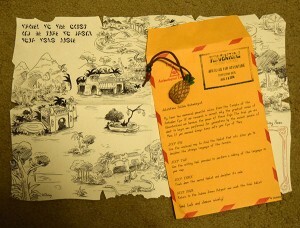 Once you have all of the ingredients, take them to Trader Sam’s Enchanted Tiki Bar at the Disneyland hotel, show what you have collected along with a Disneyland hotel room key, and order the punch! A word of warning, the Tiki juju has a face expressing obvious disgust. You should take this as a clue before attempting to drink Sam’s punch. 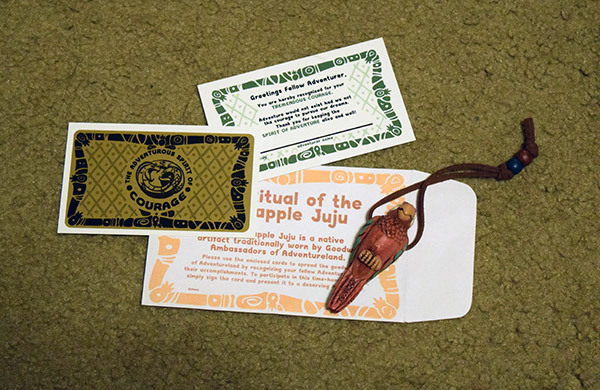 *This is the only juju that requires a visit to a bar to redeem, and therefore is the only one whose activity is specifically geared to an adult audience. With that in mind, we have carefully censored certain adult-oriented portions of the telegrams for the benefit of our more sensitive readers. An important shipment has been lost, and you need to find it! To begin this adventure. 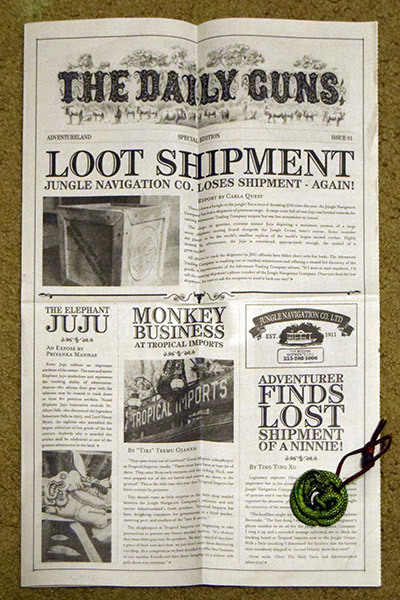 purchase a newspaper from the Adventure Trading Company. Within the paper is an advertisement for a 900 telephone number ($5/minute plus international fees since it’s calling Africa) that will give you instructions for tracking down the important crate. 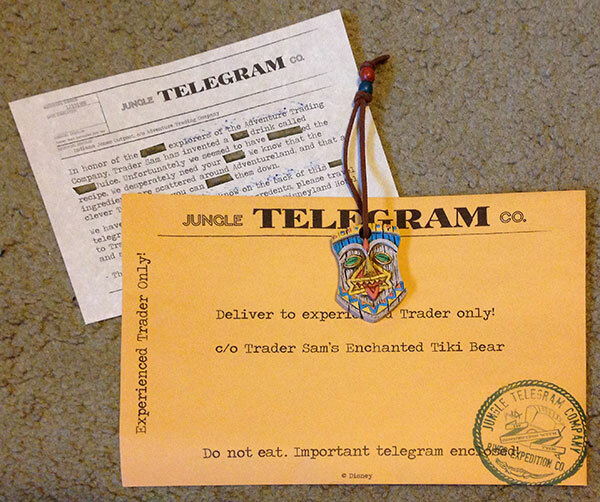 Normally, you will need to go to Frontierland and play some silly land-trading game for half the day in order to earn enough pretend money to purchase the key to the secret box that holds the map that shows where the crate that holds the lost shipment is located. We’ll save you the trouble: It’s in the middle of Big Thunder Mountain Railroad, just sitting on the rock next to the goat eating explosives. 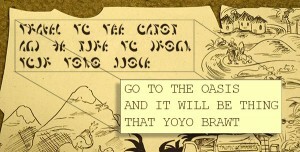 Find the crate and receive your Snake juju. Why a snake? It turns out that venom from a certain species of deadly snake is a certain cure for Sydenham’s chorea (otherwise known as Saint Vitus dance) — a disease that has infected many Adventureland jungle natives and causes an infected person to constantly dance, sometimes for as long as 60 years. It’s time for a break — try an eyeball cake! As part of the Adventure Trading Company experience, Tropical Imports has for sale delicious sponge cake covered in pineapple with cherry drizzle and a blackberry in the center that looks uncannily like a human eye! 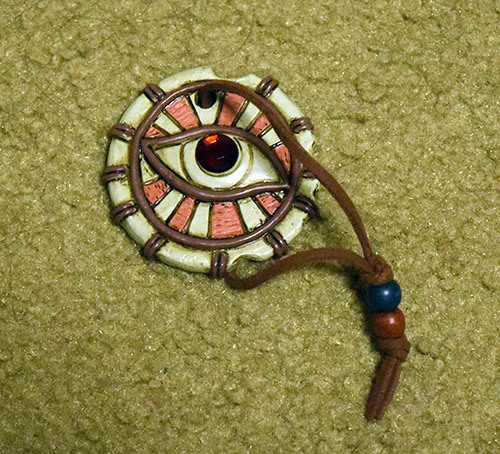 When you purchase one, you will also receive the Eyeball juju (as well as the right the purchase an “I ate an eyeball at Disneyland” t-shirt). This is another simple juju to earn. It is a well-known fact that a parrot’s beak has enough raw strength to snap your finger right off. A real, live parrot sits atop a perch in the Adventure Trading Company, ready to test guests who want to earn the Courage juju. To pass the test, you pick up one of five objects from a table and offer it to the parrot. If the parrot likes what you offer, it will take it. If the parrot doesn’t like the gift, it will viciously attack. The correct answer is the apple. Give that to the bird and, nine times out of ten, you’ll be fine. 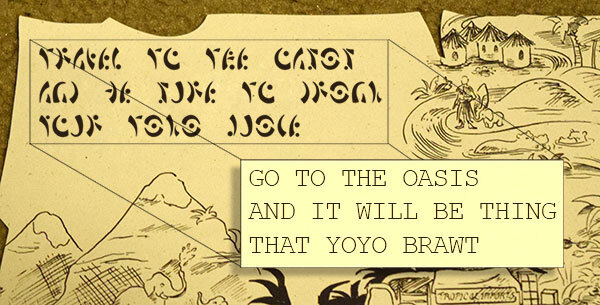 The Treehouse Secret juju is another exceptionally easy one to earn. After paying the Adventure Trading Company, go to Tarzan’s Treehouse and look for the elephant. 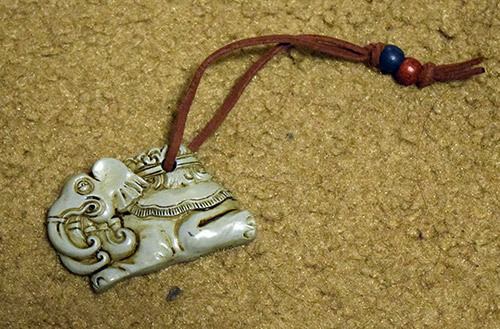 Once you find it, you will be given an Elephant juju. If you are having trouble finding the elephant, look in Tarzan’s refrigerator. The elephant is the thing with the red-painted toenails that is trying to look like a strawberry. 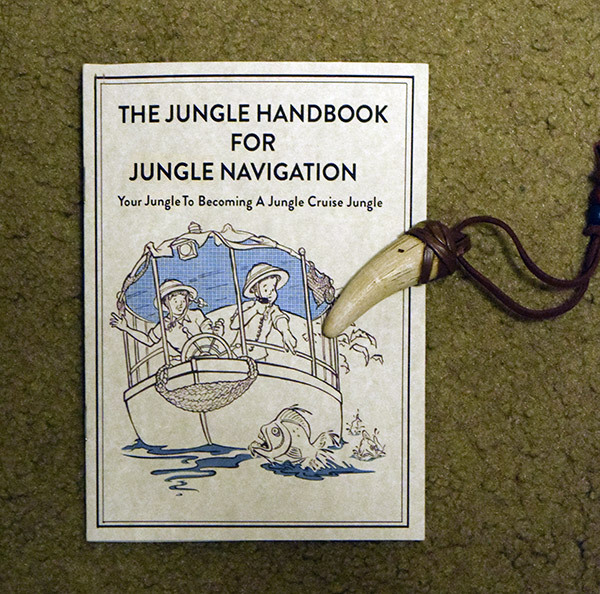 Asking the Adventure Trading Company to sign you up for Skipper Training gets you a small handbook that will help you study to take the official Jungle Cruise Skipper Exam. Most of the information in the book is stuff you probably already know. For example, the main parts of a ship (crow’s deck, gangwayplank, bilgesprit, poopsail, etc. ), the most numerous type of animal in the jungle (animatronic), and the minimum allowable humor score of a Jungle Cruise joke (zero). When you are done studying, present yourself at the Jungle Cruise exit and take your final exam. The exam has three parts: taking a legally binding oath that includes references to undisclosed small print, paying a substantial “tuition fee,” and telling a Jungle Cruise-style joke. What’s black and white and red all over? A “sleeping” zebra. Why does a lion wear red suspenders? It ate a firefighter. What has four wheels and flies? That jeep and whoever was trapped under it. How do you stop a hippopotamus from charging? Shoot it. Why does Africa have a veldt? To keep its vandts up. Passing the test earns you a Tooth juju. The tooth is similar to that encountered in the last moments of many an adventurer who thought a tiger couldn’t harm them because it was only 10 feet away. This is one of the two easiest jujus to earn. All you need to do is perform two simple tasks. First, visit Bengal Barbecue and order the “fish drink special” (it only costs 50% more than the other Adventure Trading Company tasks). You will receive a glass with a strange green liquid in which is floating red spheres. The liquid is a fish-flavored soda (imported from Japan), and the red spheres are salmon roe. Second, find the “Intestinal Fortitude” testing cast member near the barbecue’s exit and drink the entire beverage in their presence. 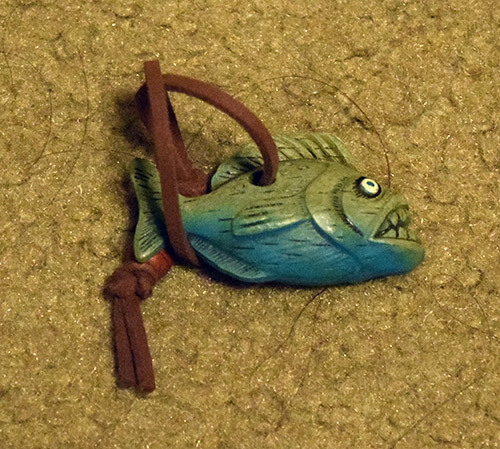 Half an hour later, if you have managed to keep it down, you earn your Fish juju. 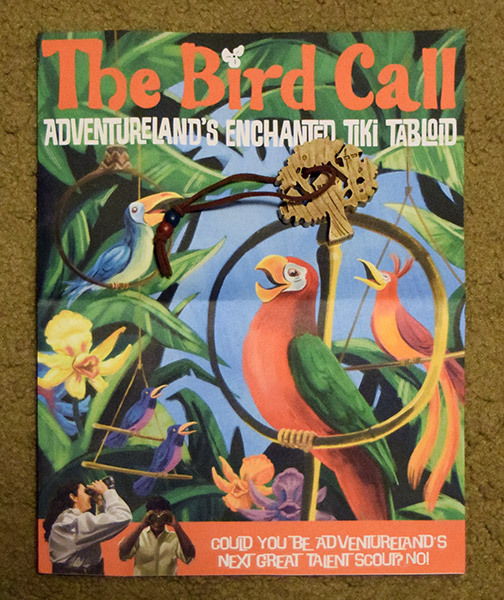 The Bird Call is a magazine which, if purchased at the Adventure Trading Company, gives you instructions for earning a “bird talent scouting” juju. In order to receive your prize, you must take photographs of five types of bird and then bring those photos to the Tiki Room. Driving all around Southern California looking for birds can be time consuming. Since you’d rather be standing in a queue tweeting and ignoring the people you’re traveling with than searching for birds, we have prepared links to appropriate photos that you can use. Just present these to the Tiki Room bird judge and your will receive your juju. When you complete your task, you receive a Tree juju because birds live in trees.